London Locks are your first port of call when looking for an Emergency 24 Hour Locksmith in Bow, London. We have years of experience from working in the industry, and as you can see just by viewing our small gallery of images below, we have seen some pretty awful sites and dealt with some horrific incidents. As it happens, dealing with such disasters means we have been able to develop our skills and improve our expertise. London Locks are dedicated, fast, reliable and ultra efficient, and on top of this, we will never finish a job without giving you advice on how best to move forward. If you are looking for Emergency Locksmiths or a UPVC Lock Specialist in Bow, make sure London Locks are the first call you make. From our base in Bow, we have covered the whole London district dealing with lock related issues. From windows to doors, cars to garages, London Locks have dealt with almost any type of problem and incident imaginable. It's not all doom and gloom though, break ins and robberies are just part of the fun filled life in which we lead. More often than not, lost keys and broken handles will be the things we tend to most frequently. Wait. Maybe that is doom and gloom. After all, nobody likes losing their keys, especially when they are in a rush. Thankfully for them though, London Locks are always on hand to sort the job out. London Locks offer a Key and Lock Collection and Delivery Service, which means we can bring all parts directly to you at your property. 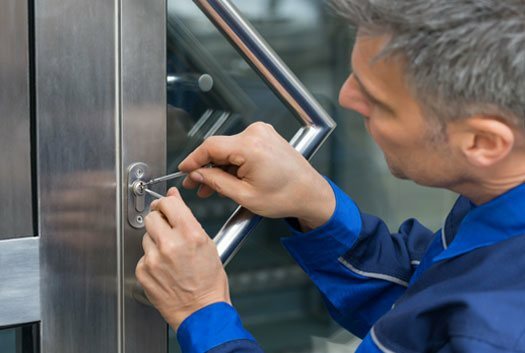 Whether you require an emergency commercial locksmith, residential locksmith, or you require insurance locks, our dedicated team will be more than happy to help. We have worked with hundreds of customers throughout Bow and the surrounding Bow areas in London, and in every circumstance, the customers are quick to praise us on how efficient and reliable we are. This is something we take immense pride in. Looking for an Emergency 24 Hour Locksmith in Bow? Your search can stop now! By this point you might have stopped reading however if you really are in a proper lock emergency.. This is fine of course, so long as you call the number at the top of the page. When you need an Emergency 24 Hour Locksmith in Bow, London Locks are here for you. For many years now we have been providing an Emergency 24 Hour Locksmith service to the people of Bow and those situated in the surrounding London areas. You can call us 24 hours a day, 7 days a week if you are stuck in a lock emergency. From lock repairs to 24 hour emergency lock outs, the team here at London Locks in Bow have you covered. Whether you require a residential locksmith in Bow or an emergency commercial locksmith in Bow, London Locks are here for you. Call us today if you are looking for emergency auto locksmiths in Bow, or a UPVC Lock Specialist in Bow. One of our friendly, professional and competent members of staff will be more than happy to help you in any way they can! Be sure to ask us about our key and lock collection and delivery service. For an Emergency 24 Hour Emergency Locksmith in Bow, London, make sure London Locks are your first choice!